BGR just snagged some images of a new HTC device (reportedly headed to Verizon) that are guaranteed to leave you all hot and bothered. 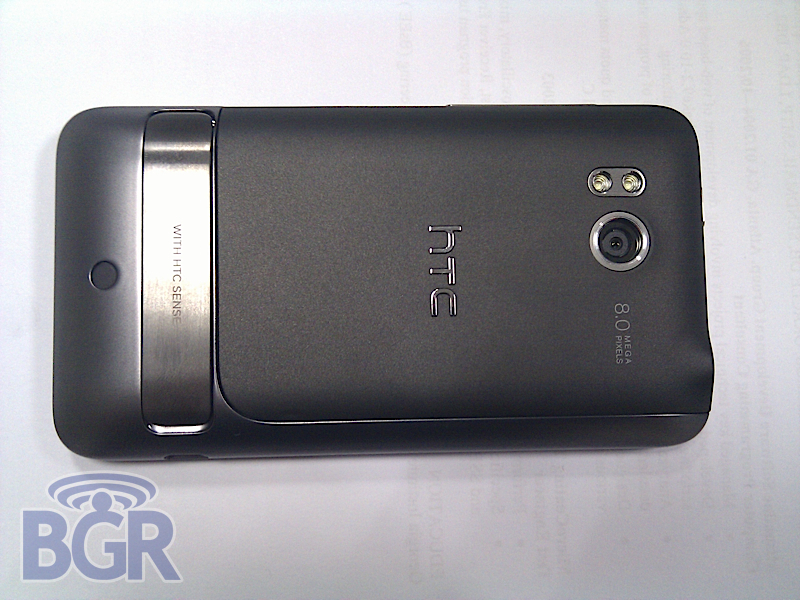 Looking similar to the EVO 4G while sporting a kickstand and front facing camera, this bad boy better be the next “DROID”. Could it be the Merge which a Phandroid tipster spotted a couple of weeks ago? 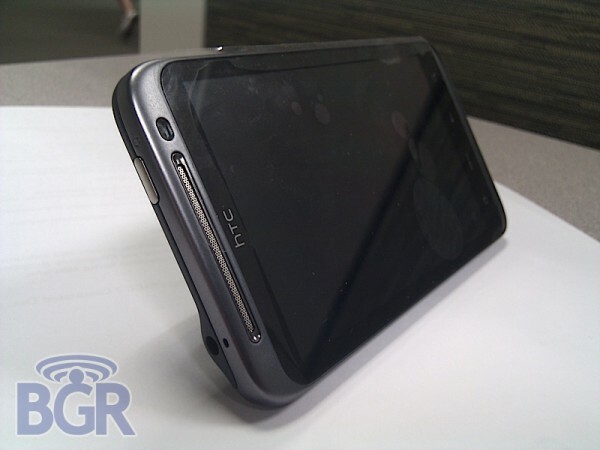 What about the “SICK” which was mentioned in a VZW roadmap? Should we expect it to be 4G? We have zeros answers to any of those questions at this point, but will be hitting up every source we’ve got to find out more juicy details. And hit up one last shot after the jump!